We have Halloween on the brain - big time! The Lil Divas are so excited that I can't help but feel pretty excited too. 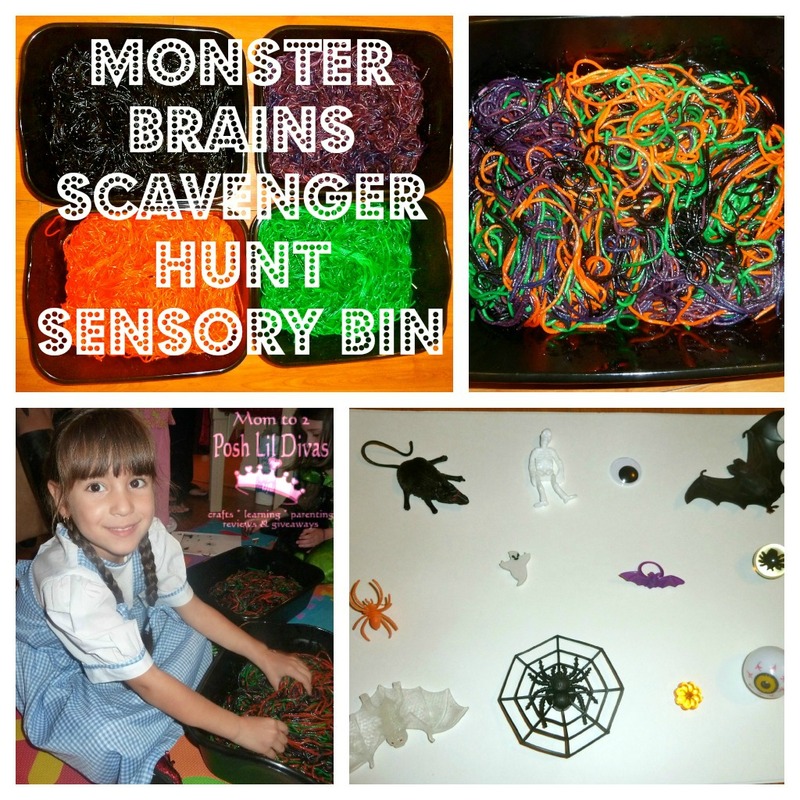 So I have started planning some fun activities to do here at home and thought I'd share some of last year's fun with you to start things off. 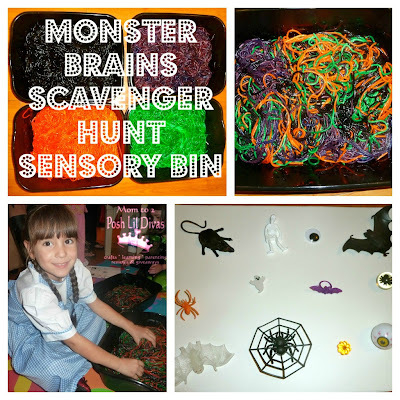 I made a Halloween Scavenger Hunt Sensory Bin that was definitely one of my favorite Halloween activities of all time. 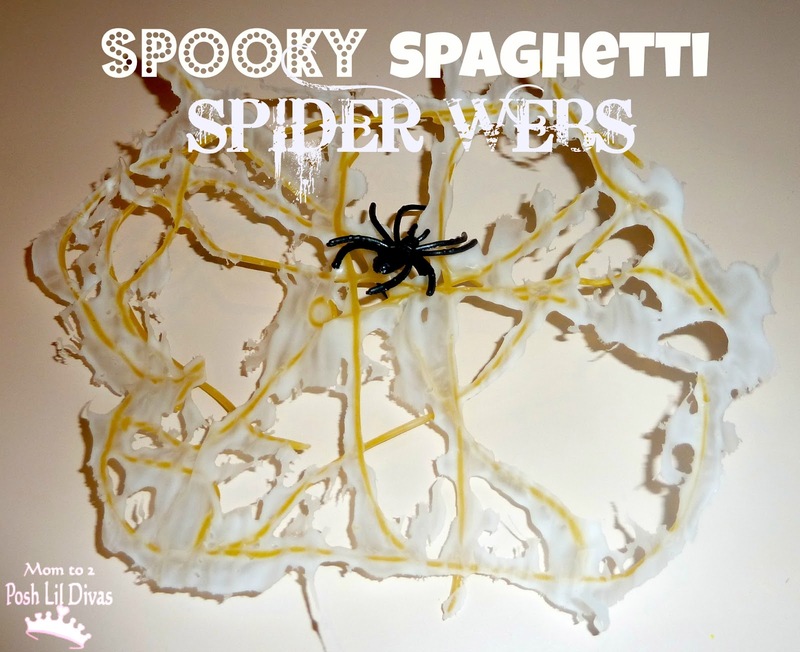 It was squishy, slimy fun for the kiddos to find all the hidden Halloween items in the colored pasta. Really, it feels so cool to put your hands in there - a must try! 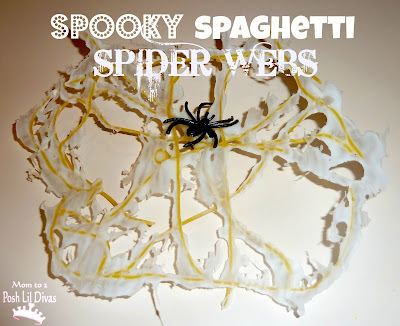 While you are already cooking spaghetti, you might want to save some so you can make these Spooky Spaghetti Spider Webs. We hung them up as decorations and they looked great. I want to make more this year. In keeping with the spider theme for another moment - you have to try creating this Spider Web Maze at home! The Lil Divas have already asked me if I would do it again. 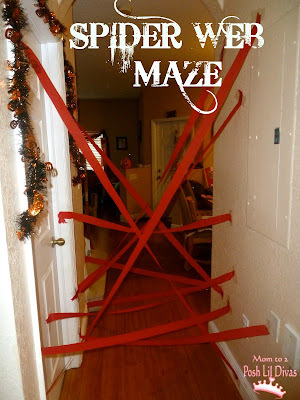 It was such a fun and memorable activity for them. Pumpkins are a huge part of Halloween and fall in general. I love pumpkin recipes and so look forward to this time of year. I can't wait to get crafty with our pumpkins this year. 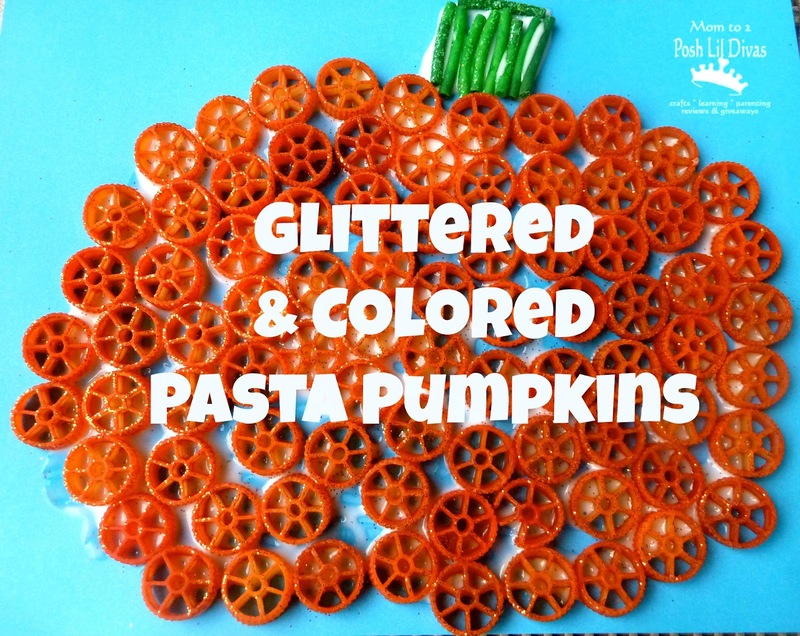 This Colored & Glittered Pasta Pumpkin Craft is one of my favorite crafts from last Halloween. 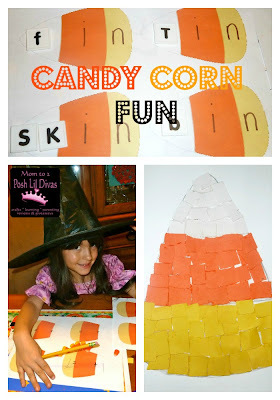 Did you know that October 30th is National Candy Corn Day? We had lots of fun celebrating this fun holiday last year. We crafted, did some math and even worked on word families all in honor of candy corn. While working on this post I asked the Lil Divas for their favorite activities and crafts - after all it is about the kids right? 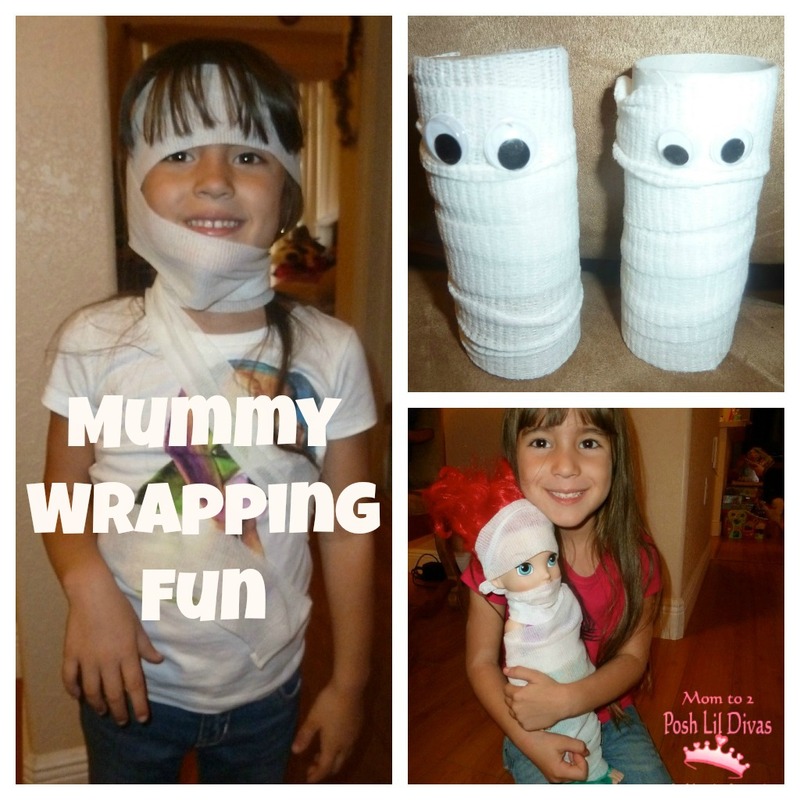 Both Lil Divas said I had to share our Mummy Wrapping Fun with you again. Stock up on gauze and then let the kids get wrapping. This was such a simple way to have fun, yet it made such an impact on them. Aren't those the best activities/memories? 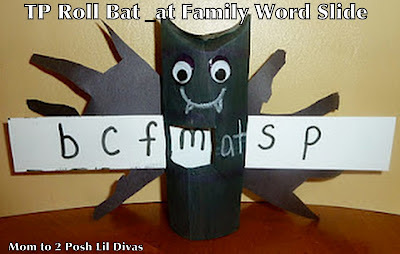 You know I like to sneak in some learning into our fun so one of my favorite activities from last year is our Paper Roll _at Word Family Bats. They turned out super cute and were a great way to practice some phonics skills with my kindergartener. I have a fondness for handprint crafts. I can't help but think about the fact that the Lil Divas hands won't be this small for very long. 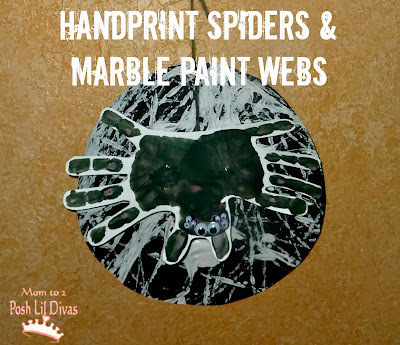 They are getting so big already, I love trying to capture where we are now and freeze time if only through a craft memento so these Handprint Spiders and Marble Paint Webs are very near and dear to my heart. Not only is marble painting a fun activity but the fact that these handprint spiders are made from their little hands - well, let's just say this craft is one of the ones that I have tucked away for the future. Another easy & fun Halloween craft - Painted Rock Ghosts. 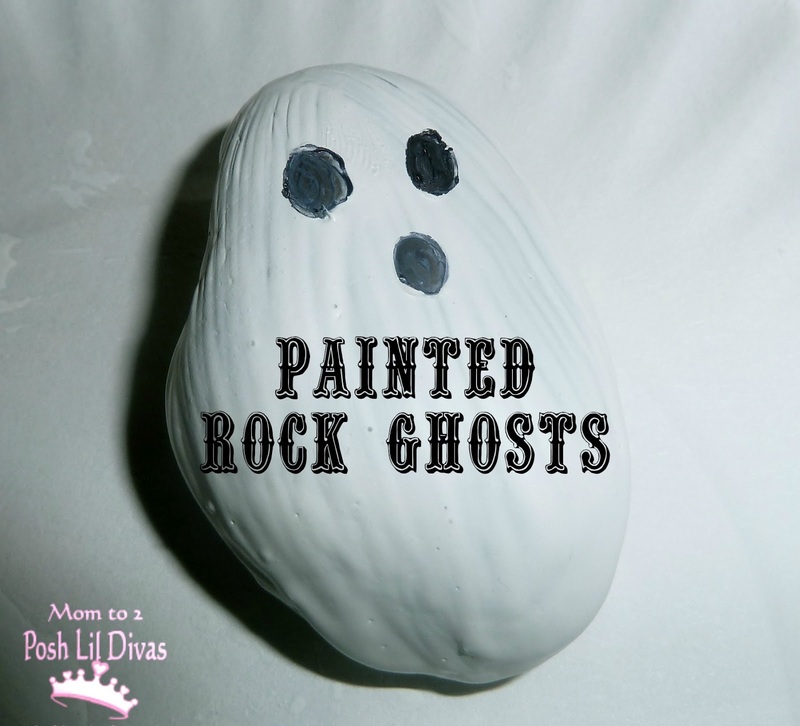 These are beyond easy to make but make sure you have a generous rock supply because they kiddos won't want to stop at painting just one. 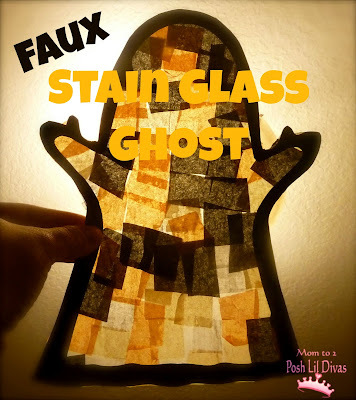 One more ghost and a final Halloween themed activity for you - Faux Stain Glass Ghosts. These are easy to make and great to hang on your windows. 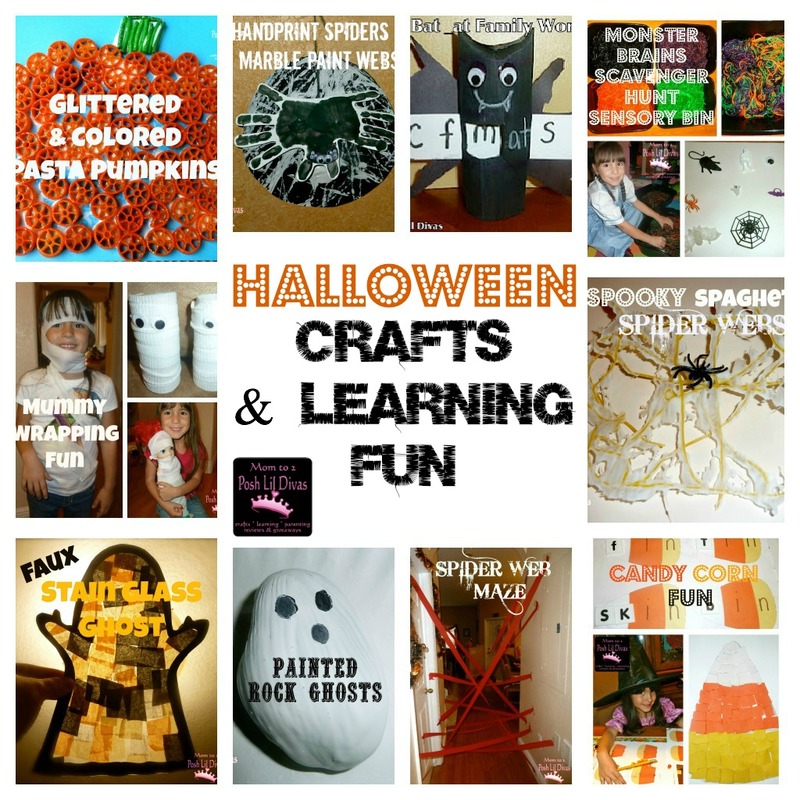 Have fun Halloween crafting & learning! That is a great collection of ideas. I decided to check out more of your posts after seeing your 2011 pasta pumpkin post. 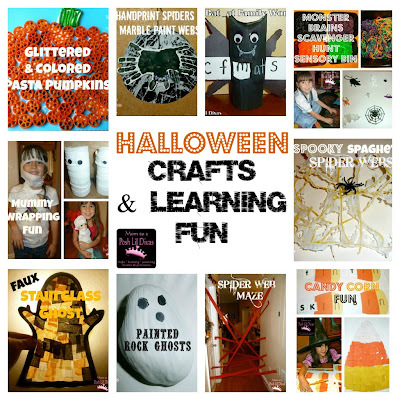 Please link this (and any other arts, crafts and play posts) to Artsy Play Wednesday on Capri + 3.